Wavemakers is the book of the month of May 2014 for those who are subscribed to the LIFE Leadership system and is currently only available to members. The book doesn't specify any author(s) but I assumed it was one of the LIFE Founders. I was a bit skeptical when opening this book for the first time. I felt like my money should of went for a more "known" book like one from John C. Maxwell or Steven R. Covey but this feeling died out upon reading the first few words of the first chapter. 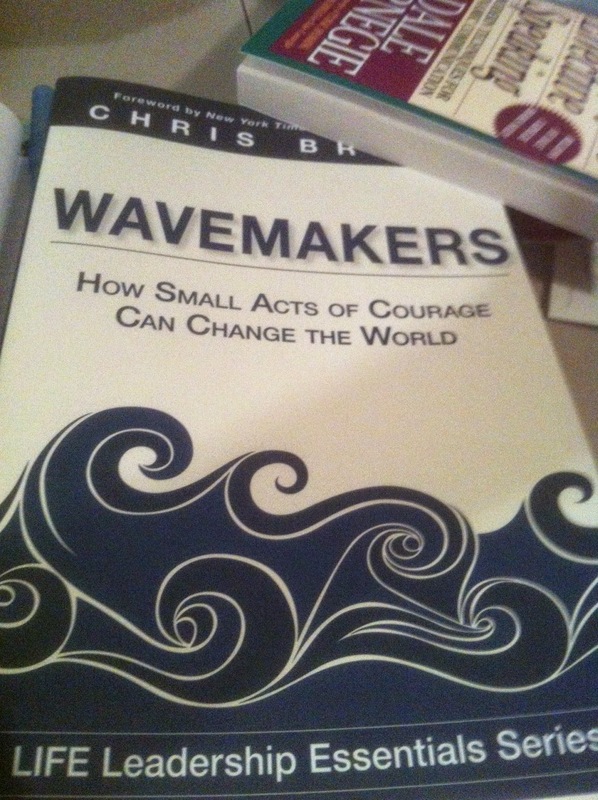 Wavemakers, like the name states, is about great men and women of history who created a ripple effect from their actions. Some of them were lesser known to me but their impact was big none the less and I felt inspired to read about their stories. I had a hard time putting this book down. I always thought that everybody should be a LIFE Leadership member and it's even truer now that they're releasing exclusive books like "Wavemakers".